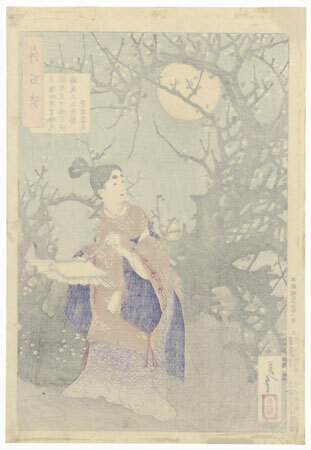 The Moon Glimmers - Handsome portrait of Sugawara no Michizane, a statesman and poet during the Heian era. 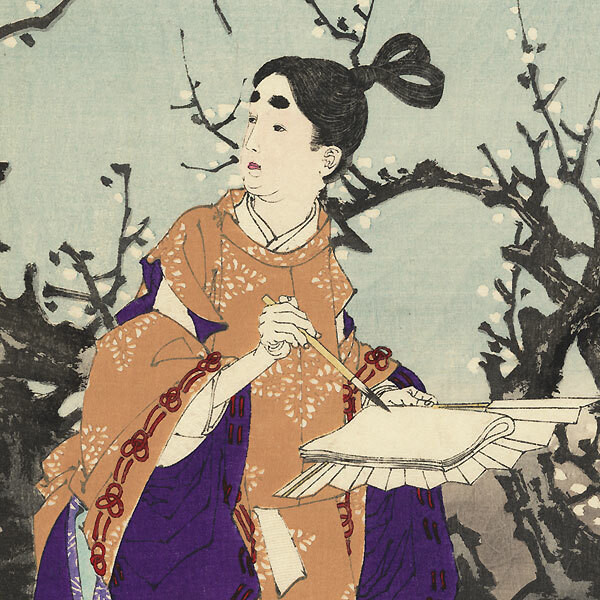 Known for his scholarship, after his death he was deified as Tenjin, the Shinto god of music, literature and calligraphy. 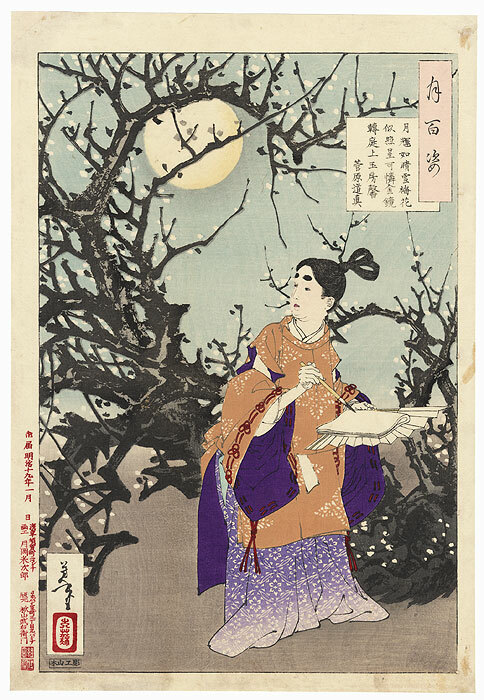 Here, he is shown as a young boy, composing a verse as he examines a gnarled plum tree blossoming behind him, the moon visible through the branches. Wonderful calligraphic line work in the rugged tree. Includes embossing in Sugawara's white under robe. Condition - Nice color and printing quality. Nice large margins, as shown. Slight soiling. Stitching holes at right side, repaired. Good overall, see photos.